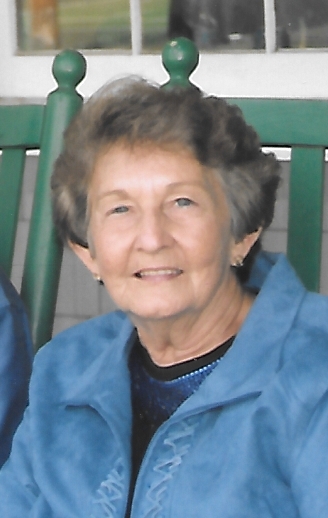 Barbara Horrell Applewhite, age 82, of Ivanhoe passed gently from her earthly life on Thursday, March 21, 2019 from Lower Cape Fear Hospice Center. She was born October 22, 1936 in Bladen County, the daughter of the late Conrad Hewett and Emily Ruth Barnhill Horrell. She is also predeceased by her husband, Carl Jackson “Jack” Applewhite. Barbara is survived by her loving children, Terry Carl Applewhite and wife, Annette, Jeffrey Conrad Applewhite and Lisa Applewhite Bryan and husband, Eric; grandchildren, Shannon Blalock and husband Phil, Shonna Johnson and husband Wes, David “DJ” Applewhite and wife Lauren, Blake Bryan and Taylor Bryan; great grandchildren, Reagan, Carsyn and Benson Blalock, Katie and Anna Grace Johnson and Brayden and Kenzie Applewhite; sister, Geraldine Lennon; and many extended family and friends. She was a lifelong member of Haw Bluff Baptist Church and lived her whole life in the Rowan Community that she loved. Barbara loved her family and was a devoted wife, mother and Nanny. She enjoyed the simplest things in life, but her greatest joy was spending time with family. Spending time in her immaculate yard and at “the sound” in Hampstead fishing for spots were some of Barbara's favorite pastimes. Special are memories of her gentle smile, warm heart and sweet spirit. Her presence on this earth will be greatly missed. The family will receive friends at 1:00 pm Sunday, March 24, 2019 at Haw Bluff Baptist Church Fellowship Hall with funeral service beginning at 2 p.m. in the church sanctuary. The Rev. Jacob Lewis and The Rev. Richard Wade will conduct the service. Burial will follow in Haw Bluff Baptist Church Cemetery. In lieu of flowers memorial gifts may be given to Haw Bluff Baptist Church, C/O Diane Norris, 24276 NC Hwy 210 E, Kelly, NC 28448 or Lower Cape Fear Hospice Foundation, 1414 Physicians Dr., Wilmington, NC 28401. You may share your memories and send condolences to the family by selecting Guestbook or Tribute Wall. Quinn-McGowen Funeral Home of Burgaw.